Forrás: The Sun. Szerző: Corey Charlton. 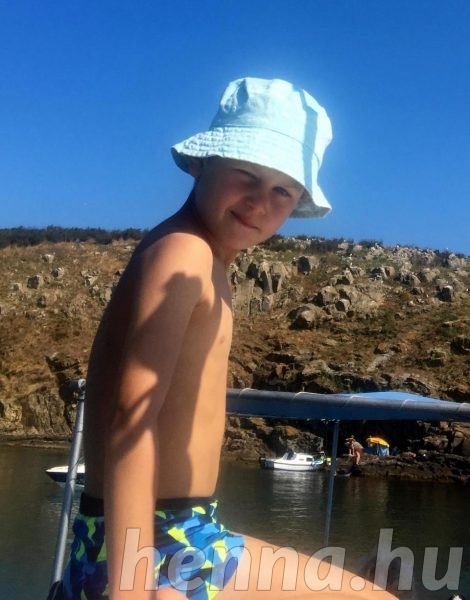 Little Theo Luckett could be scarred for life after what was supposed to be a treat during a family trip abroad to Bulgaria ended in disaster. 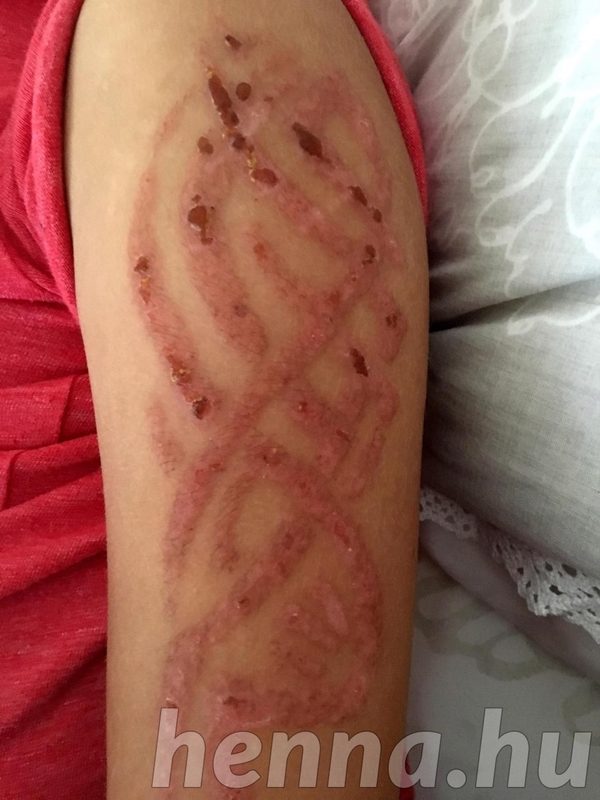 A MUM has issued a warning after her seven-year-old son suffered a potentially fatal allergic reaction to a HENNA tattoo on holiday. Little Theo Luckett could be scarred for life after what was supposed to be a treat during a family trip abroad ended in disaster. He had queued up excitedly for the henna procedure on his arm at a market stall in Bulgaria with dozens of other children. But shortly after having the substantial inking done, Theo started to get blisters which swelled to be yellow and oozing overnight. His panic-stricken parents rushed him to the nearest pharmacy in the seaside town of Sozopol where they were told he was suffering an allergic reaction. Mum Alexandra, 41, who lives with husband Jonathan, 39, and their daughter Charlotte, nine, in Cheltenham, Glos, said: “Straight away I feared the worst. 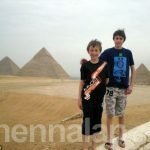 “It brought it all back as Theo has an egg allergy and a few times we have had to get ambulances as he has been close to anaphylactic shock. “His arm looked terrible. The other night he woke up crying as it was so itchy. “I have been told he may be scarred for life. 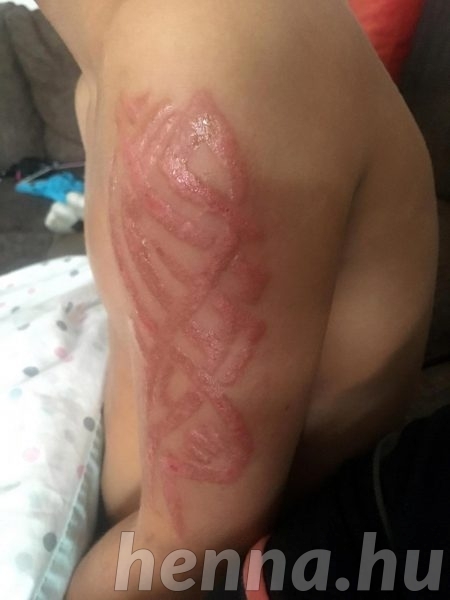 Getting the tattoo was meant to be an enjoyable activity and I feel awful as a parent this has happened. “There were lots of children there and I am wondering if any of them have been affected too. Theo picked the substantial sleeve design from a book on the seller’s stand while his sister had a little inking at the one next door. But while hers has faded since the family returned from their two week break more than a week ago her brother is still in lots of pain. Alexandra is now applying strong steroid cream on the skin as prescribed by the doctor. The doctor says that if he goes near the henna tattoo chemical para-phenylene diamine (PPD) again, it could be deadly as it can cause people to stop breathing. Alexandra added: “Theo’s skin is very inflamed and angry looking now but we have been very lucky and it is starting to heal.